Overall, Eduzaurus are not the kind of writing company we would direct you to use. The biggest issue is the writing quality. When they can’t get that right, you can’t be sure that you’re getting a good service. Instead, take a look at more reviews and find a service that works for you. All students need some help with their essays from time to time, and that’s where assignment writing services step in. Eduzaurus.com is one of many sites out there that say they can provide excellent quality writing for a good price. Are they a service you should trust? Read on to find out. At time of writing, there are just under 100 writers working with this service, 22 of whom are from the UK. 41 have Masters degrees and 14 have PhDs. We’re concerned with how few of the writers are actually from the UK itself. As a UK based company, you want to know that your writer will know what you need from them. If you get a non UK based writer, then can they do that for you? Of course, there’s also the worry that the writer may not speak English as a first language, too. No matter who you order with, you need to be sure that you can trust them with your details. Your order needs to be confidential, and you want to know that your details won’t be used for anything else. On Eduzaurus, there’s no real indication that you’re safe with them. There’s no physical address listed, which is often a sign that the company is not as trustworthy as it seems. This is a red flag, so be aware of this if you’re thinking of ordering. Now, this is possibly the most important part of the review. 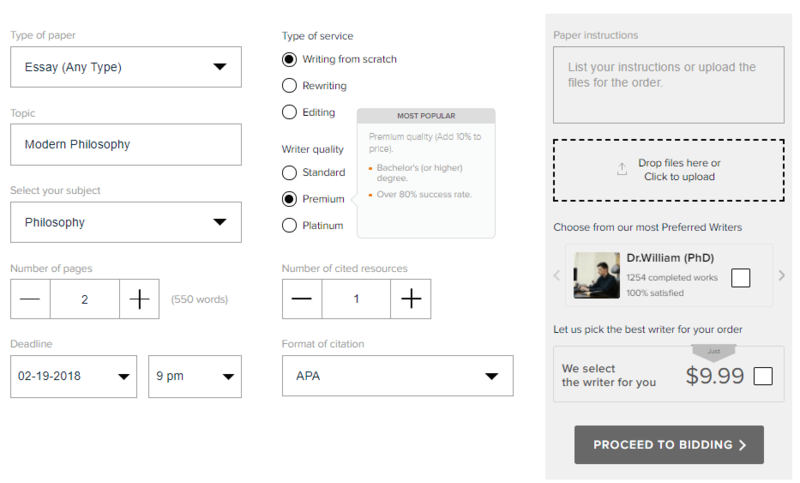 Can the writers at this service deliver high-quality essays, every time? We’ve been looking at reviews from previous customers, as well as samples, to find out. What we saw wasn’t encouraging. It was clear in their work that many times, standard essay writing practices weren’t followed. This included properly citing sources, which meant that students were hit with plagiarism accusations. With universities being so hot on plagiarism now, this really is unacceptable. It’s worth noting there are no additional discounts available, something many other writing services can offer to you. There’s a customer service team available 24/7, to help you with your order. This sounds good, but reports say the team aren’t based in the UK. This has lead to communication issues, something you don’t want to grapple with when your deadline is looming.